I am sure that most of you are familiar with this Alcon brand. 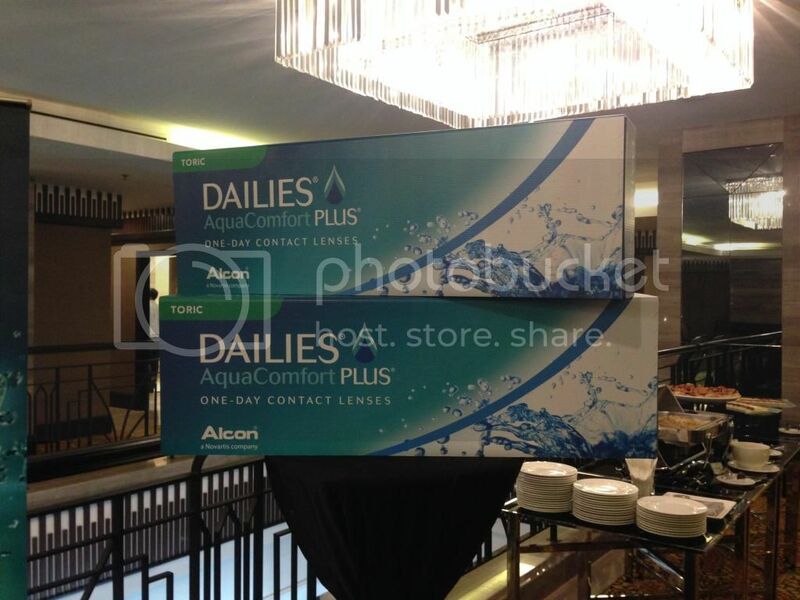 Alcon, the global leader in eyecare and second-largest division of Novartis launched the new Alcon DAILIES® AquaComfort® Plus Toric contact lenses at Majestic Hotel, KL a few weeks ago. This disposable contact lenses feature the proprietary Blink-Activated Moisture Technology which designed to provide lasting comfort with crisp, clear vision until the end of the day. These contact lenses work with the natural blinking action of the upper and lower eyelids to keep the lens balanced to prevent blurriness. This proprietary technology of DAILIES® AquaComfort® Plus family of lenses solves the number 1 need of lens wearer - all day comfort across the most common vision correction prescriptions such as near and far sightedness, presbyopia and astigmatism. 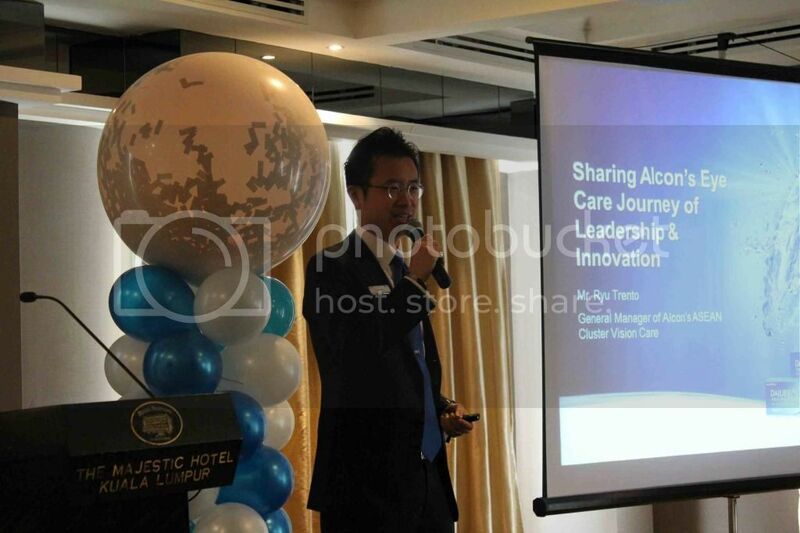 The launch started off by presentation from Mr Ryu Trento, General Manager of Alcon's ASEAN Cluster Vision Care on Alcon's Eye Care Journey of Leadership and Innovation. Mr Trento said that today the patients look for the most convenient and comfortable vision correction option available. The DAILIES® AquaComfort® Plus lens also offers one of the most hygienic and easy-to-use options for contact lens wearers. 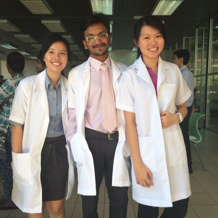 Mr Trento is based in Singapore and responsible for Vision Care commercial operations in the key Southeast Asia emerging markets of Thailand, Malaysia, Indonesia, Philippines and Singapore. He has over 15 years of pharmaceutical and healthcare industry experience in developed and emerging markets. He led businesses in primary care and specialty medicines including oncology and rare diseases, as well as in OTC and Consumer industries. Some patients requiring vision correction may also have astigmatism. When a patient suffers from astigmatism, they may experience blurred vision, headaches and difficulties with fine detail due to the shape of their cornea or lens in the eye. DAILIES® AquaComfort® Plus Toric contact lenses are designed for an optimal wearing experience by the patient. The lenses feature Precision Curve™ lens design, with 150% more parameters, enabling optometrist to better fit the majority of astigmatic patients. The launch ended with a media briefing session for the media to know more about the new DAILIES® AquaComfort® Plus Toric contact lenses. 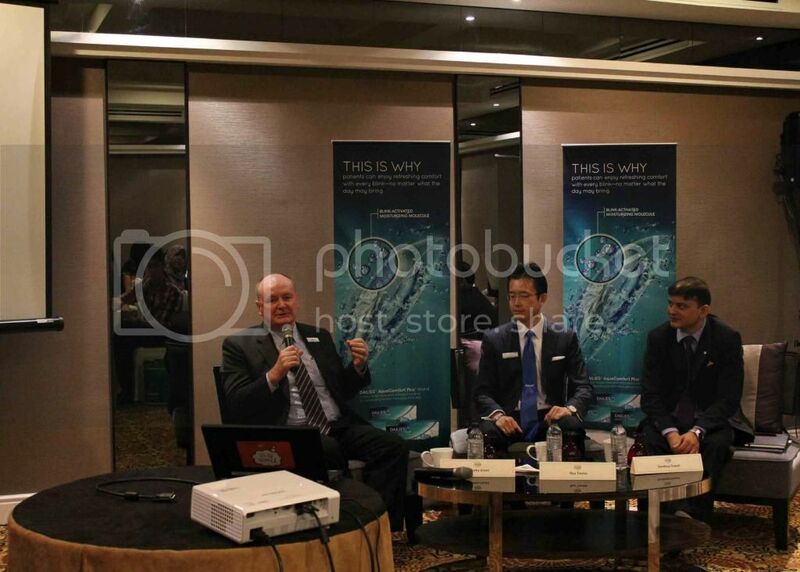 Mr Timothy Grant, Mr Ryu Trento and Mr Sandeep Tewari briefing the media during the media briefing session. I'm personally a frequent contact lens wearer for 5 years and I am very concerned with clear vision especially when I need to wear them daily and for long hours. With this new technology by Alcon, I am pretty sure that every contact lens wearer will need such contact lens to provide long lasting comfort other than clear vision as well. (: Seriously I can't wait to try out this new contact lenses! :D Thank you Alcon for having me that day! 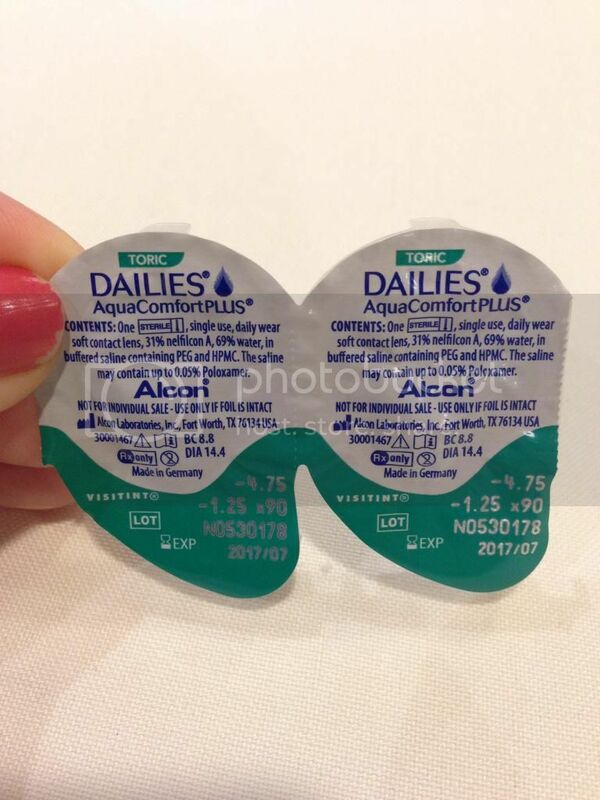 :D The price of this new Alcon DAILIES® AquaComfort® Plus Toric Contact Lens is available at RM130 per box. For more information, please visit www.alcon.com.